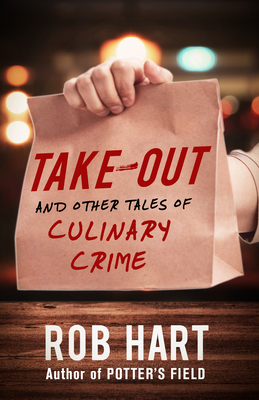 Rob Hart’s Take Out is a great collection of his short stories where crime and food intersect. His characters pop and he has a great sense of building tension even if you’re not sure what to be tense about. A great example of this is one of the stories that also appeared on The Strand’s site. Clifton Adams is an author more people should know of. When his name does come up, it is usually associated with one of the many westerns the back to back Spur award winner wrote. 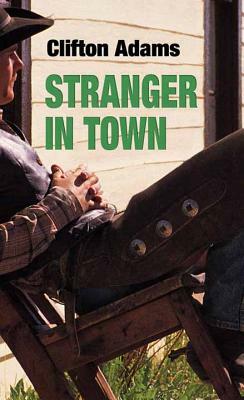 I was introduced to his work when author Craig Johnson gave me a copy of Stranger In Town as a gift. However he wrote five hard boiled crime novels in the fifties that, along with his tales on the dark frontier, made him into and influence to writers in both genres. In many ways the book comes off as the forming of a Parker in the west. Adams gives us a map of wrong timing and bad choices that turn rancher’s son Tall Cameron into a hardened outlaw. The violence is swift and always carries consequence, with little romance to life on the trail. 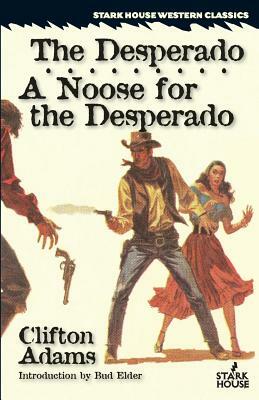 Noose for the Desperado, a rare sequel from Adams, is practically a heist novel in western dress. Tall rides into an outlaw town and gets involved with a heist, while also spotting his one chance at redemption. In at least three of his crime novels, reprinted from Stark House, the leads demonstrate few redemptive qualities. 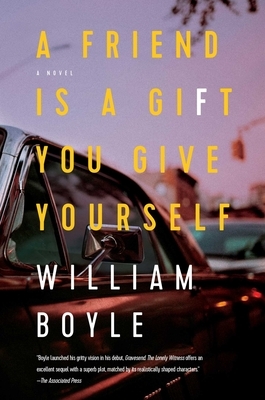 Roy Foley in Whom Gods Destroy returns to his hometown for his father’s funeral and decides to stay and become a bootlegging kingpin, since Oklahoma was still stuck with prohibition until the late fifties. The story becomes Scarface in the heartland, depicting Roy’s climb to the top through the operation and how it works. 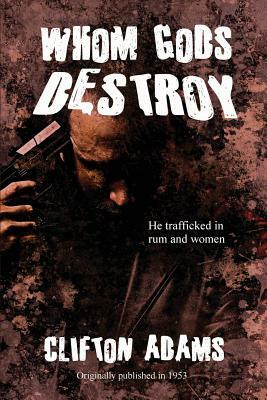 Adam’s detail for the boot legging trade is very much like Don Winslow did for the narco trade in his Cartel trilogy. While money plays a big part in Roy’s game, he’s mainly out for revenge. He has it out for the town that kicked him around when he was on the other side of the tracks. In particular is the woman who shunned him in high school who is now married to a politician he’s out to control. This lands a strong noir emotional drive to the gangster tale. The protagonist in Death’s Sweet Song is less complex in motivation, but no less in relationships. Joe Harper owns a failing gas station and motor court. The rare customer arrives with his platinum blond wife. Joe discovers him to be a safe man out to heist the local box factory with the local hood. Joe, a former employee who knows the factory layout pushes his way into the job to get his piece of the pie. He also wants the blond. You can presume the crime doesn’t go off as planned, but that’s just the start. 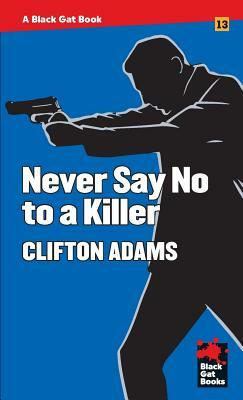 Roy Stuart may be Clifton Adams’ most ruthless crime fiction bad man in Never Say Know To A Killer. 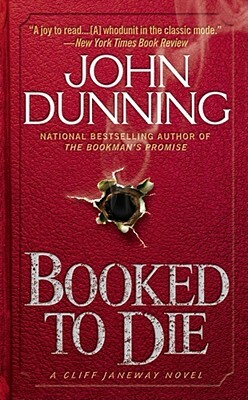 He murders a guard in the first chapter during a prison break. He’s supposed to meet his old cell mate on the other side but finds his widow instead. The couple ran a blackmail ring and a mark got violent with a cell mate and took him out and is gunning for her. Roy agrees to take care of the guy as long he becomes her partner. When another woman enters into their business, it goes bad. There is little to like any of these three men. They often carry a chip on their shoulders for not having grabbed that brass ring and often live in the shadow of their fathers. Adams doesn’t use either as an excuse, but simply a means of motivation into dark territory. They rarely have an epiphany or find their way to Heaven with a redemptive sacrifice. These men have put themselves on a fast track to Hell. 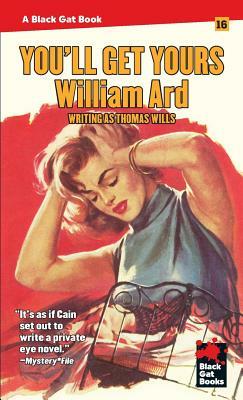 Adams understood the crime fiction fans didn’t want sermons, they wanted to follow nasty people doing nasty things. Adams used the familiarity with his Oklahoma home as an advantage. The small town settings prove to be a trap or challenge for his protagonists criminal goals, since everyone knows or recognizes him. It also allows him to punch holes in the myth of small town mores. He often did this in his westerns as well . He often used interesting ways to evoke mood. His sparseness played into his description of towns, often with a jaundice eye. Few writers used sound as effectively. He uses the tension of approaching horse hooves to open The Desperado. I awoke suddenly and lay there in the darkness, listening to the rapid faraway thud off hoofbeats. The horse was traveling fast, and occasionally the rhythmic gait would falter and become uneven, then catch and come on again in the direction of the ranch house. It was a tired horse. It had been pushed hard and for too long. I could tell by the way it was running. Pa had heard it too. I heard the bedsprings screech downstairs as he got up. The old wall clock began to clang monotonously. I didn’t bother to count the strokes, but I knew it must be twelve o’clock. The hoofbeats were getting louder now. Clifton Adams was one of those great genre writers who came out of World War Two. He served as a tank commander, and one of his other books, The Long Vendetta, deals with a man who served in the same capacity being stalked by someone who may be connected to a tragic mistake he made in war time. He told stories of little sentimentality and unsensentionalized violence. While fun reads, they also give us an interesting view of the era he wrote in, showing that not everyone in the greatest generation was that great. 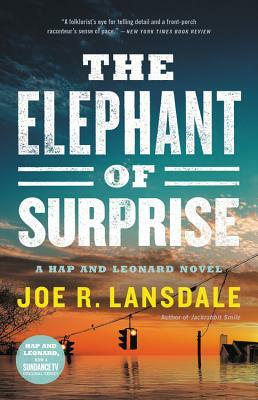 Our March Pick Of The Month, Joe R Lansdale’s The Elephant Of Surprise, is a non stop action crime novel with his regulars Hap and Leonard trying to protect a girl with a lot of bad men after her during one of the biggest storms in East Texas. 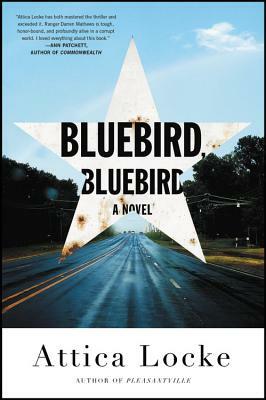 Joe will be here to talk about the book and sign at BookPeople on April 3rd. We got a few early questions in. 1. This is a little different from the normal Hap & Leonard. I couldn’t help think of siege movies like Rio Bravo or Assault On Precinct 13 when reading it. Did you have anything particular in mind when you set out? 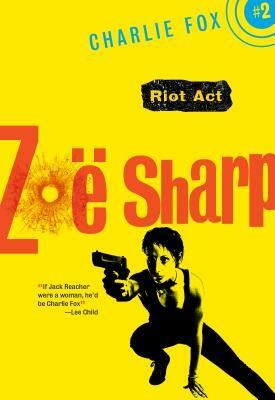 Hap and Leonard often have social issues mixed with the stories, and I wanted in this one to write something that was what I call a Momentum novel, closer to an old fashioned thriller. I love Rio Bravo and Assault, so they may have influenced me. But I have often done the “holed up against greater odds” type of story, so that seems to be in my DNA, and perhaps its from film influence. 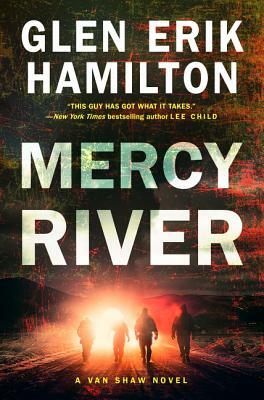 I never write with film in mind, but this one is very much an action/adventure book verses the usually casual build up that Hap and Leonard have. Though, now that I think about it, some have started off pretty wild. But it felt different to me and I had a lot of fun doing it. I don’t think I’ll do it on the next Hap and Leonard adventure, but it was a nice change of pace, and a nice way to leave the boys while I write stand-alones. I do plan to return to them. I think I have at least three more books I want to write about them. 2. I was curious since it reads so fast if it was one of your quickest to write? You know, it did come quickly. I write pretty briskly during my three hours of work a day, but this one just jumped out. I was sometimes writing twenty pages a day. I decided to not go too far afield of a momentum story, just keep it rolling. It slows a little, but it picks up again pretty quickly. 3. Manny gets the most time she’s had since she’s been appearing with Hap and Leonard. What did you enjoy about writing for her? I find Manny appealing, and I think she’s becoming more and more interesting as the series goes on. Look for her to take a larger role in the future. 4. With the exception of Manny, this is basically Hap and Leonard with the rest of the recurring cast sidelined. Did it feel different with it mainly being a boy’s night out? It did, but that was the intent. I just wanted to get back to the guys and them handling action. They haven’t aged as much as me, but they are in their early fifties, and it’s starting to show, so I wanted to have them have this real strong, physical moment. 5. The weather is almost as much an adversary as the bad guys. What did you have do keep in mind with storm pounding down through most of the story? It storms a lot here, so that wasn’t hard. Lot of folks think it was influenced by the terrible hurricane in Houston, but I was already writing it and had that to reinforce what I was doing. I also wanted to hint at climate change, and how things unseasonable, and it also helped deal with the storm inside the characters, as well as provide a limitation of movement to make the story more viable. 6. One thing I enjoyed about the this book is that the action is non-stop. What advice would you give about writing a great action sequence? I don’t know. It came to me as is, and I didn’t think about it much. I do better if I don’t consider on things too much. You have to consider, of course, but I find out things as I go. There were sidelines I could have made to slow it all down, but I didn’t want to do that this time out. Wanted it to rock.